Jayne Messina RN was trained in Grand Rapids. She has worked at Michael Reese Medical Center in Chicago in the Internal Medicine unit and at Barnes Hospital in St. Louis in Internal Medicine and Critical care. 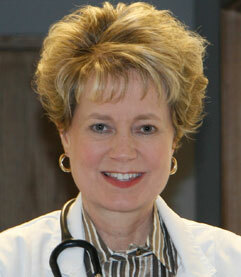 She and Dr. Messina have been working together in neurology since 1981. Jayne has organized the Greater Muskegon Epilepsy Society and the Midstate Epilepsy Support Group. She served on the board of the Respite Volunteers of Shiawassee county. Jayne specializes in the phone support of patients having difficulty dealing with their neurological problems. She is a co-founder of the practice. She has been instrumental in the interactive video history taking program, Arbor Medicus, which has been viewed by thousands of people in the United States and beyond. You may recognize her as the video nurse.